I was 18 or 19 years old (or thereabouts) and a keen triathlete, back in the early days of the sport when people still asked what that was. I was seeing a podiatrist as my reoccurring shin splints were getting worse; they were now stopping me getting much over 30mpw. Over the previous 3 years, as my training had gotten more serious, I had moved to progressively bigger shoes and at that time I was wearing a monster of a shoe from Brooks that was called the "Beast". 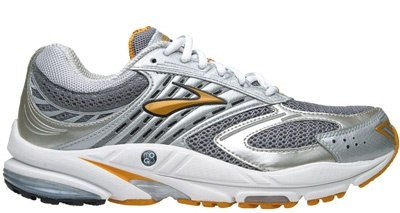 Heaviest running shoe on the market - maximum cushioning, maximum motion control. Latest version of the Brooks Beast - 400g of shoe! The podiatrist lady was confident and charming, the kind of person that convinces you easily of their own excellence. She measured me up for orthotics - the first of several pairs I eventually had - to correct my weak arches that she told me were causing me to overpronate. I remember her telling me clearly and firmly, "You will never be able to run again without orthotics!" I certainly got more done with the orthotics and was able to run up into the 40+mpw zone. A few years later I even got a 70mile week done, but that was isolated and followed by injury. Fast forward a decade or so to 2003 and I was no longer the athlete of my youth. My 5' 8.5" frame weighed 17.5 stone (245lb / 111kg). I was determined to get back into shape so I started walking and eventually progressed to running - the first single mile nearly killed me! So, anyway, I went out and got a new pair of running shoes - well cushioned and well supported as before. I was surprised that I was a full size bigger than when I had raced in my youth, but otherwise it was insoles out and orthotics in as before, and slow, slow progression of plodding. Another thing remained unchanged - 40 miles in a week = chronic shin splints. Progress halted, I was distraught. But now there was a big difference - knowledge. I had been reading on the Let's Run message boards about a concept known as "minimalism". The concept was, simply stated, that when it comes to running shoes, less is more. Rather than merely racing in lightweight racing shoes, you trained in them as well. The theory was, and is, that we were designed to run a certain way and that adding excess cushioning simply encouraged poor technique (specifically landing on one's heel with the leg extended in front of one's centre of gravity). That in turn resulted in a longer period of time when the foot is in contact with the ground during each stride giving more opportunity for overpronation - this led to more "motion control" features in a shoe to correct that. In addition, the excess cushioning raised the foot off the ground - in the same way that running in platform shoes would make you wobble and fall over, so any raising of the foot above the ground creates instability. Cue more motion control features. Now this does not mean that every runner can throw away their heavy shoes (and orthotics), buy some lightweight racers and be injury free. Years of running in shoes with additional cushioning, weight, motion control, height from ground and heel-to-toe drop brings about what the human body does best - adaptation. And it takes time, and lots of it, to adapt back again; not to mention strengthening exercises and what not. So is that what I did? A carefully planned regime of restrengthening unused arches and slowly working down to lightweight shoes over a period of years as I would recommend today that anyone wanting to go minimal does? Nope. I ran a mile on the treadmill one day in agony from sore shins, took off my heavy shoes and orthotics and threw them away! Did I suffer setbacks as a direct result of my impetuous and dramatic cold turkey approach to minimalism? Absolutely! But I got there in the end. My beloved New Balance RC150s - less than half the weight of the Beast! The first mile run in my comeback was at the end of May 2003 - within weeks I had thrown out the shoes and orthotics. In June 2004 I ran the North Downs 30K ( a hilly off-road race that is tough and unforgiving) and finished 7th. 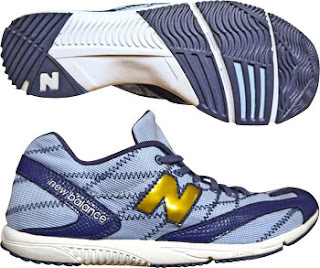 More relevantly, I had done so having hit 100mpw in training for the first time and I was now running in featherweight racers - New Balance RC150s. The legend that is Paul Lincoln at Fast Feet Sports in Bishop's Stortford (a former amateur boxer who sold me my first pairs of running shoes in my schooldays - I would try the shoes on while looking up at the picture of him finishing Comrades) found them after they were discontinued - I sent a bunch of minimalists his way to buy them and he gave me a discounted rate. I bought 12 pairs (or so) and they lasted me for years. Until recently I had struggled to find another shoe as good, but I will make a separate post on that later. #1 and #2 could never have happened without #3: if I had not made the switch to minimalism I would have never managed the mileage and without the miles the weight loss would have been an even greater struggle than it was. I will talk much more about minimalism in the future ( as well weight loss and high mileage) - explain the science of it, speak about the recent minimalism craze of the past few years, give shoe reviews of the models that have come out of that craze (both the good and the "epic fail bandwagon jumpers") and talk more about how to transition. But that's my success story. When I was tempted to make the change but it seemed too radical, it was the success stories of others that inspired me and prompted me to make that change. I simply hope that my story inspires you too.